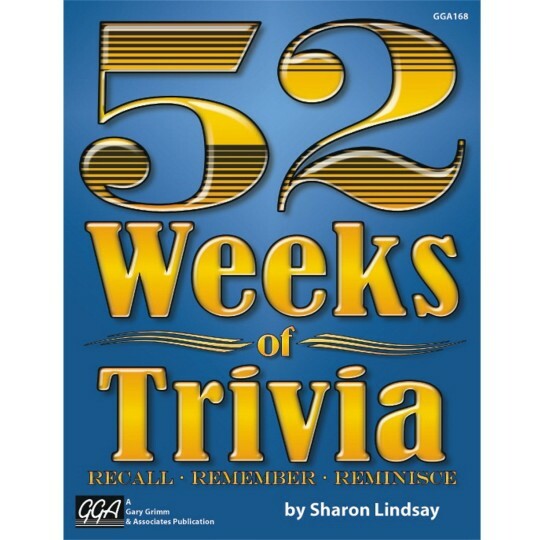 This book features over 1,000 large-print trivia questions designed to exercise retrieval of information stored in long-term memory. Quizzes are organized by specific theme selected to stimulate reminiscing and discussion and has accompanying artwork to help facilitate recall. Follow-up activities keep the memories coming. Softcover. 108 Pages. We use this book in Therapy Activities and in the Dementia Unit. It makes you think about things that were and how different they are today. It brings back memories and is also a conversation piece. Great Item to have! 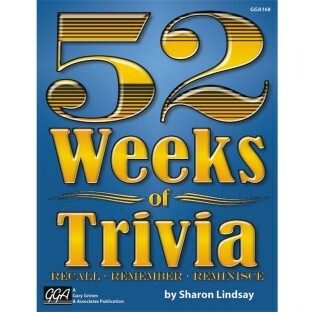 The residents really enjoy this Trivia series- all with unique formats and quite educational as well as entertaining- Sharon Lindsey should be commended! This is my favorite trivia book for getting aquainted with group members. Questions are geared for success and positive experince. Questions are sometimes too easy for some group members but various topics do provide for variety.